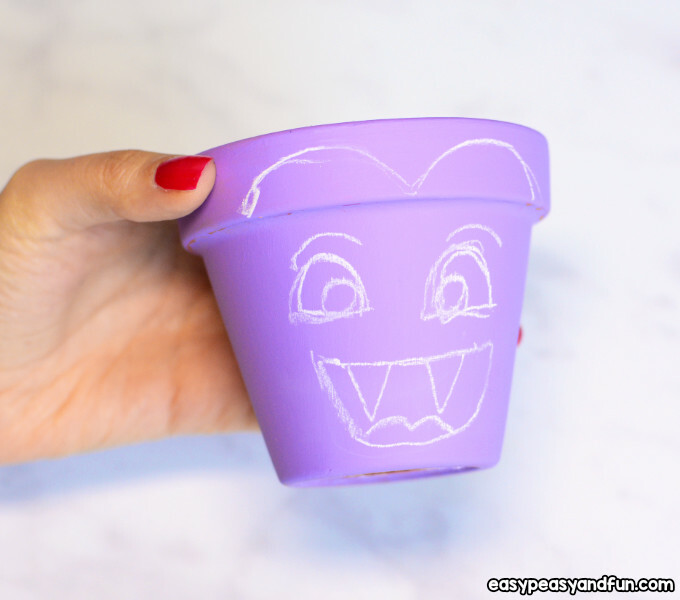 Why have boring looking Terra cotta pots when just a little paint can transform them into silly little creatures. 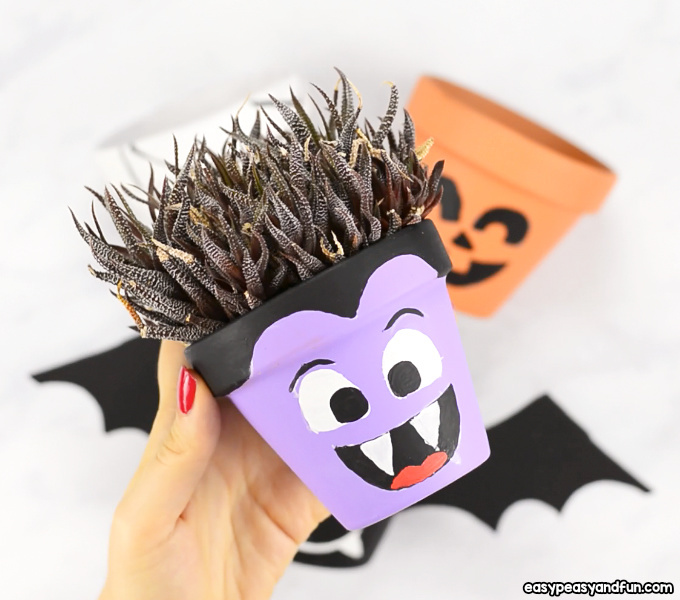 Today we are sharing 4 cute Halloween Clay Pot Craft Ideas that you can make at home or in the classroom as they take little time to make and make a wonderful gift for parents. 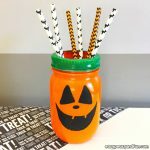 Getting ready for a classroom Halloween party? 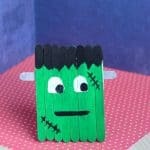 We have a whole lot of creative Halloween craft ideas to share with you. 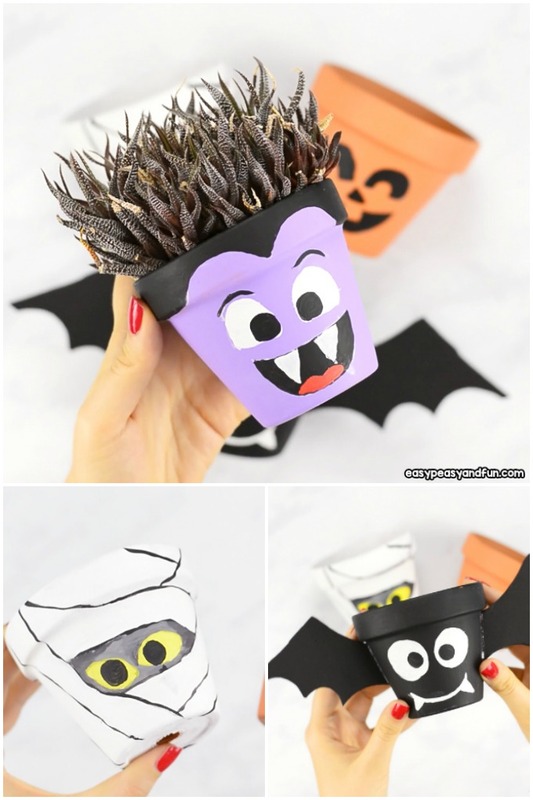 We’ve had so much fun creating these silly little creatures – we made a bat, a mummy, a Jack-o-lantern and a vampire. 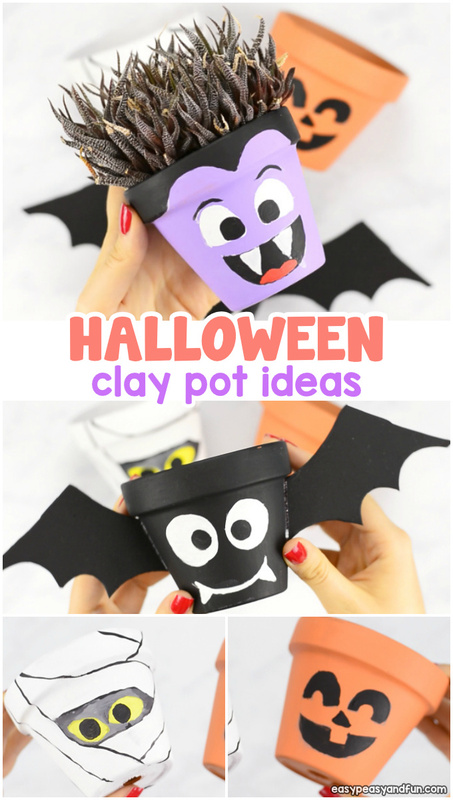 But why stop with these, you could just as easily make a black cat clay pot craft, a Frankenstein’s monster, a witch, skeleton, ghost or any other ghoul. Let your imagination be the guide. Ready? 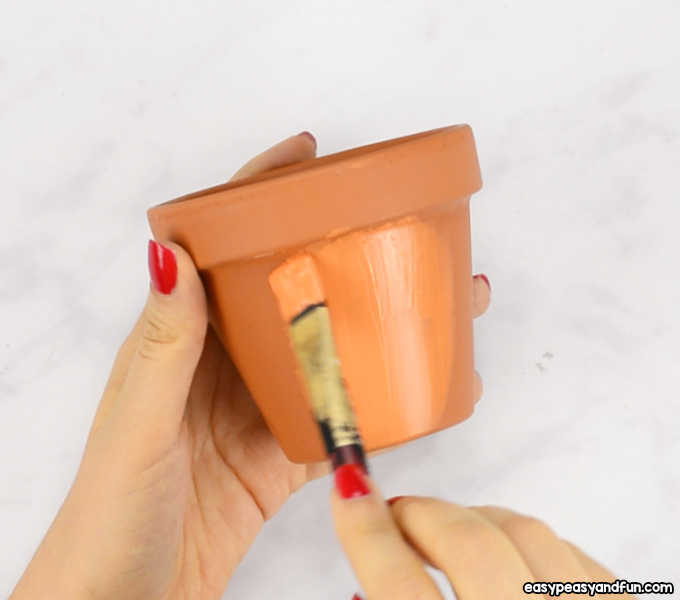 Grab your paintbrush and let’s go! 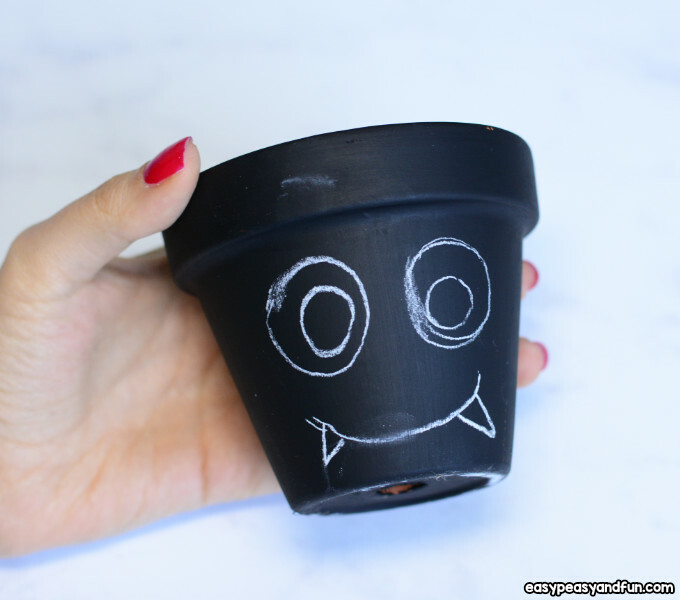 Let’s take a closer look at our finished Halloween Clay Pot Craft Ideas. I just love how the bat turned out. 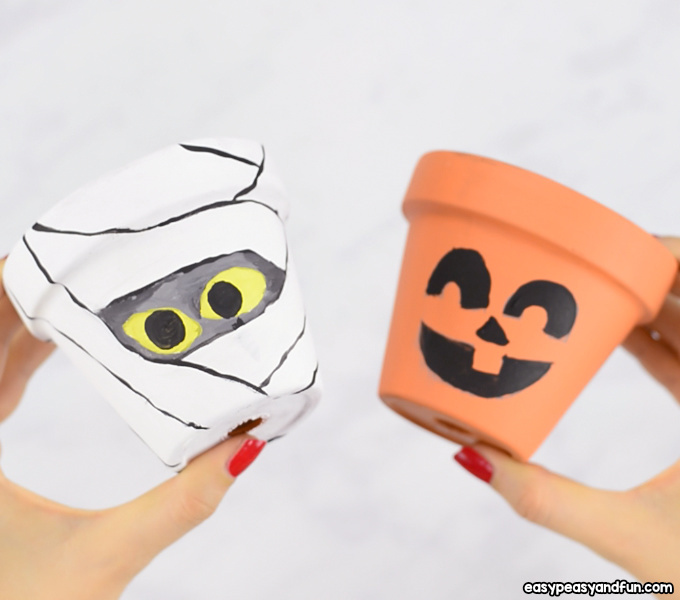 The mummy and Jack-o-lantern are looking pretty great too. 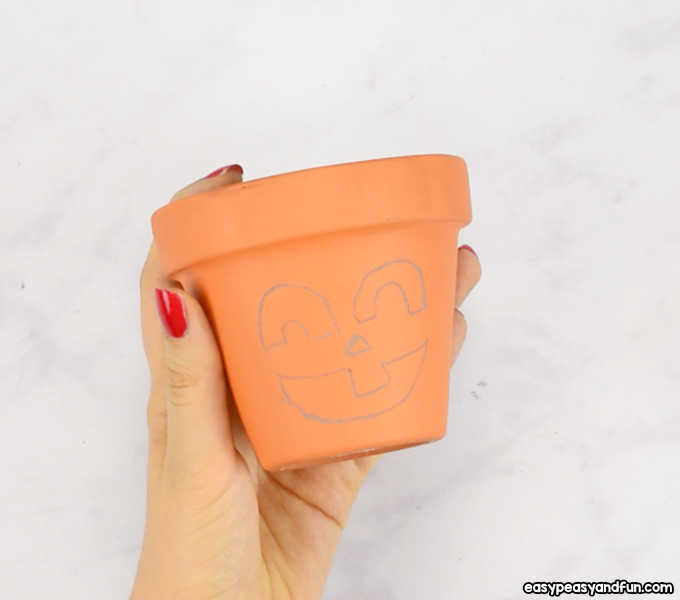 If you had your clay pots laying around, clean them to remove dust. 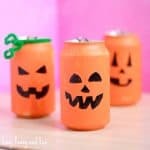 For the Jack o Lantern, paint the pot orange. 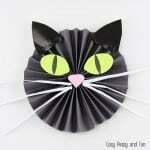 Depending on the paint, more than one coat of paint might be needed. 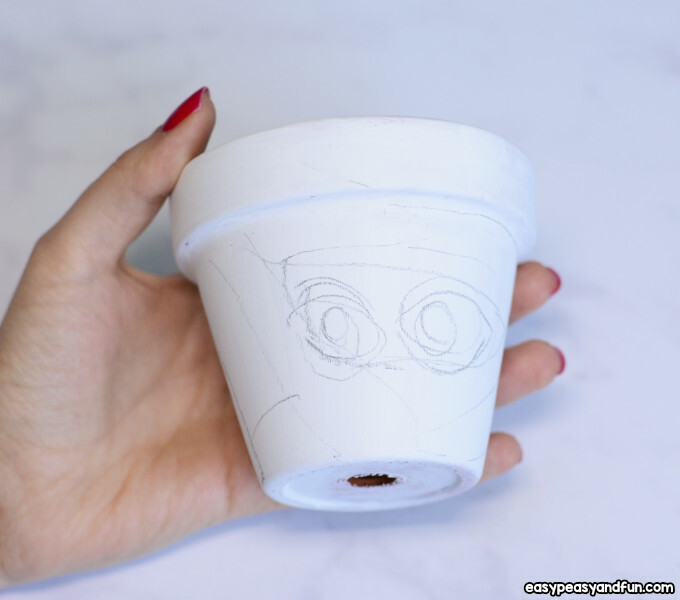 Let the paint dry completely before moving forward. 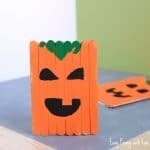 Draw the shapes for Jack o Lantern face with chalk. 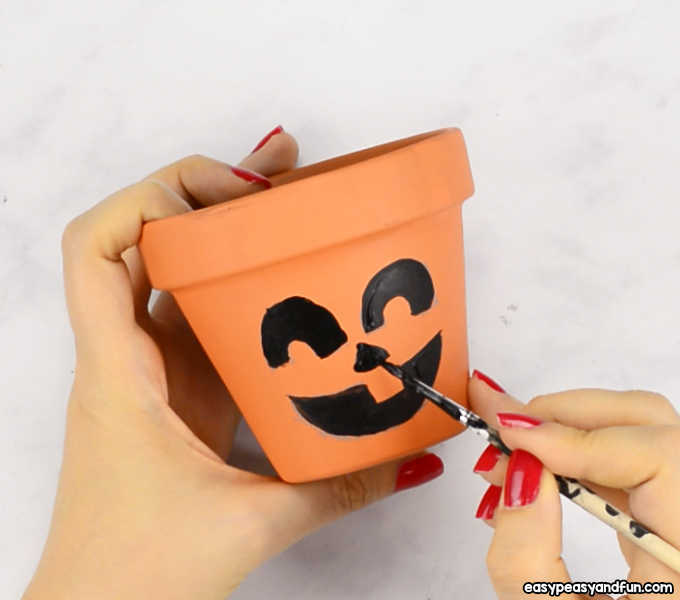 Fill in with black paint. 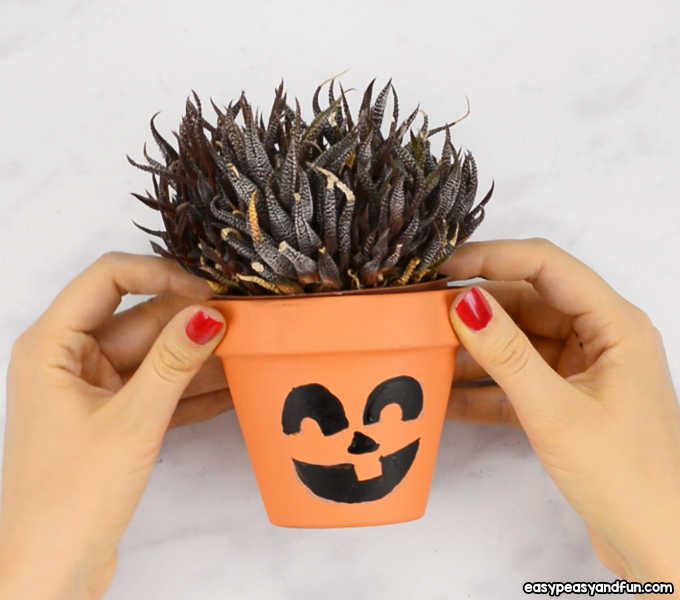 Let dry and you are all done. 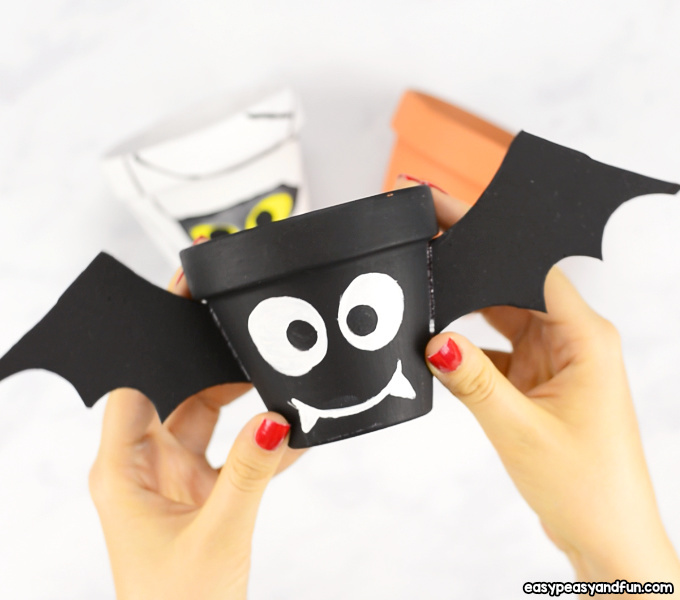 For the bat also cut two wings our of black craft foam (if you don’t have black foam, paint it black) and glue it on the sides of the clay pot.